In our latest videos, posted on the TerraNaturalist YouTube channel, we examine differences in foraging styles of Brown and American White Pelicans, two species that possess similar fishing equipment, but feed in dramatically different ways. Why do the two species use different fishing techniques? 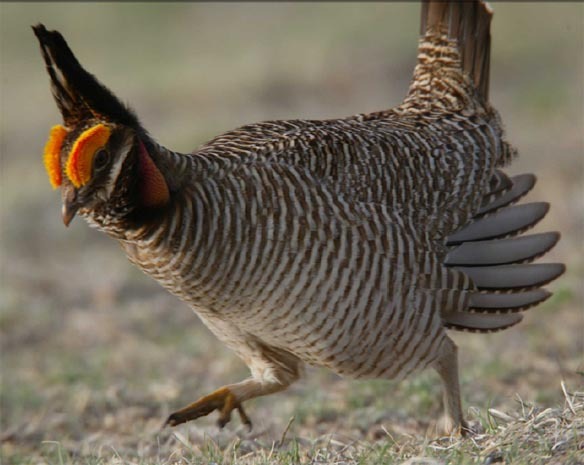 We have also posted videos on avian play, on caterpillars that camouflage themselves with flower petals, and on lekking Lesser Prairie-Chickens. Bees, wasps, and ants exhibit an array of lifestyles. 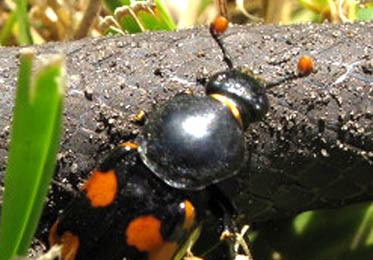 A couple of examples are the highly social species that live in groups, and the solitary bees and wasps that build nests they provision with live, albeit paralyzed, prey. In all of these examples, females can fly. One Aculeatan (suborder containing bees and wasps), however, does not follow a familiar script. 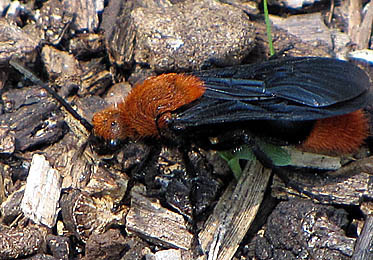 Recently I was fortunate to videotape both genders of the Red Velvet Ant wasp, the notorious "Cow Killer," which are not social, do not build a nest, and females lack wings. Webs built by tent caterpillars and webworms were a familiar sight for me when I lived in Ohio and Minnesota. So when I noticed an oak tree in Florida covered with silk, I suspected that some moth larvae were responsible. 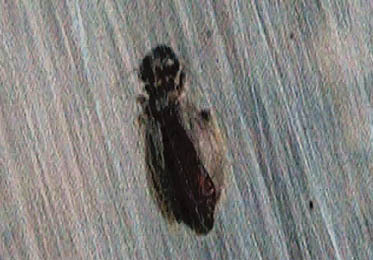 Instead, I was pleasantly surprised with my discovery of a social insect that I have never seen before or even known existed. I hope you enjoy the video. When walking the trails of Rothenbach Park, I typically hear the songs of a dozen or more birds, spot fish and an occasional alligator in the lake, notice butterflies and bees pollinating flowers, and stumble into the webs of spiders erected across the path. But how many more players, large and small, are hidden from view in the underbrush? 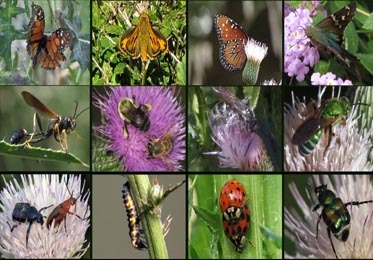 To learn more, I videotaped all the animals I could find residing in a patch of thistle (see TEP story and video for details). When most people encounter wasps they worry about being stung. Rightfully so given that many colonial nesting species, such as Yellow Jackets, can be very protective of their hives. On the other hand, solitary nesting wasps often exhibit no defensive aggression against humans. 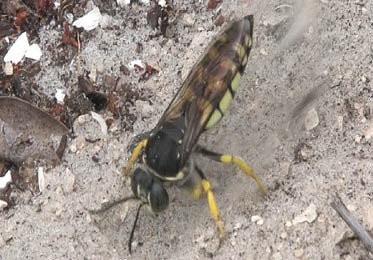 Such docile behavior allowed me to observe Horse Guard wasps up close and what I discovered astonished me. 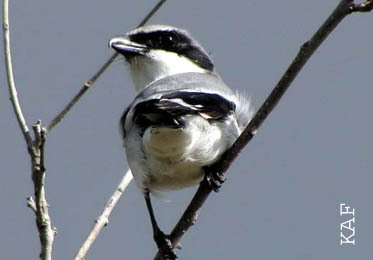 Loggerhead Shrikes are sometimes misidentified as Northern Mockingbirds due to similarities in size and color of the two species. There is also a third trait that mockingbirds and shrikes share. 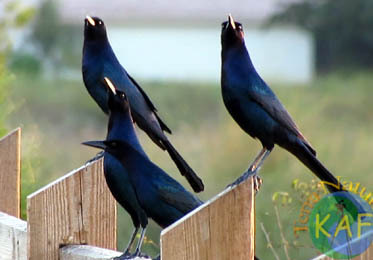 Being true songbirds, both species sing a variety of distinctive sounding songs. If you are unaware of the shrike's vocal prowess, you may enjoy watching our video --K.A.F. One October morning the view outside my window was absent, due to a dense fog rising from the Manatee River. However, I was pleased to discover, clinging to the window pane, a Melonworm Moth waving its abdomen back and forth in a rhythmic motion. 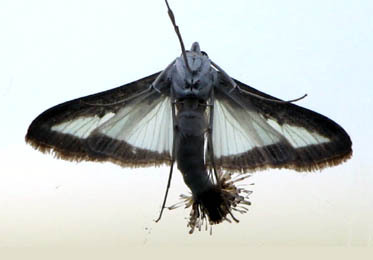 Being able to videotape the behavior of a nocturnal moth was an added bonus -K.A.F. While visiting friends, I happened to notice half a snake laying on their lawn -- the back half was stuck in a hole. Intially, I could not explain this strange discovery until the snake started to twitch. All birds lay eggs and most species build a nest in which eggs are incubated and young chicks are raised. 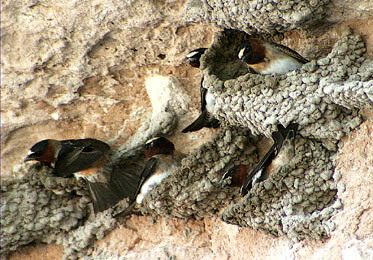 Not all birds, however, follow the same architectural design when constructing a nest. A simple scrape in the ground is sufficient for some species, while others spend days building elaborate nests. As explained in the short video, there are two prominent factors that influence a bird when building a nest: its evolutionary history or phylogeny and equally important, the type of material used to construct the nest. Although nest building behavior is genetically encoded, where a bird ultimately decides to build can surprise even the most experienced naturalist.